The European Olympic Committees, had it's 37th General Assembly in Turkey, during November 2008. With this occasion, Romania received the privilege to organize the 2013 edition of the European Youth Olympic Winter Festival. 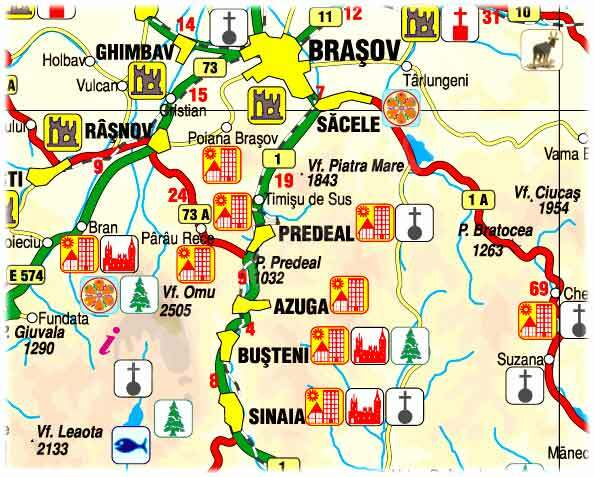 The organizing cities are situated on Prahova Valley, with the main organizing city being Brasov. Ioan Dobrescu, the main secretary of COSR declared: "After the International University Games organized in 1981 in Bucharest, the EYOWF event represent the first major olympic event to be organized by Romania. It is an honor for us and in the same time a big responsibility, a test we all want to pass successfully. Getting the approval to host the games was an easy step, the difficult part is just beginning. The success of the event depends quite heavily on the commitment of the organizing resorts from Prahova Valley". Needs modernization, new installations, mobile stands and homologation. Modernization project to be finalized in 2010. To be finalized in 2010. Modernization project to be finalized in 2011.